Session I of the 1168th meeting of the Chicago Coin Club was held April 13, 2016 in the Chicago Bar Association Building, 321 S. Plymouth Court, Downtown Chicago. President Elliott Krieter called the meeting to order at 6:45 PM with 26 members present. A motion was passed to accept the March Minutes as published in the Chatter. Treasurer Steve Zitowsky gave a detailed financial report for March showing $1050.00 in revenue and $782.75 in expenses, total assets of $27,852.87. A motion was passed accepting the report. The application of Connor Falk received a second reading and a motion was passed accepting him into the Club. The Secretary announced upcoming featured programs. The recent CPMX souvenir card on The Fort Dearborn National Bank of Chicago was made available for $5, and serial number #1 was passed on to William Burd, Club Archivist. President Krieter reminded members of National Coin Week is April 17-23, made available a variety of promotional stickers, and announced ANA has a coin trivia challenge with a May 6 deadline. Robert Feiler presented a new Speaker Medal concept that would use the reverse side design from the 95th Anniversary Medal. He will further investigate the production and report to the Board. First V.P. Richard Lipman introduced featured speaker Deven Kane who delivered a presentation Bull and Horseman Jital Coinage of 750 – 1300 AD. Following several questions, Deven was presented with an ANA Educational Certificate and engraved Club medal. Second V.P. Marc Stackler announced the exhibitors. MARC STACKLER – 1 Peso REVALIDADO from 1914 with an advertisement stamp by Chicago dealer Dennis Forgue. DEVEN KANE – Indo-Greek drachm of Apollophanes, 35-25 BC. ROBERT FEILER – Yankee License to enter the South exonumia, $2 Confederate banknote with portrait of Judah Benjamin along with photo of his plantation, 6-piece set of circus scrip commemorating the 50th anniversary of Ringling Brothers (1883-1933). ROBERT LEONARD – 2 electrum gold coins of Phokaia, plus book The History of Phokaia by Ahmet Vasfi Pekin. MARK WIECLAW: 2016-D dime and cent, 500 mark German notgeld from Lautawerk in aluminum foil, electrum heckte from Cyzicus (550-475 BC), and bronze token State Bank of Chicago. JEFF AMELSE – 3 medals and 3 lucky pennies from the 1933 Chicago Century of Progress Fair, plus 2 large souvenir lucky pennies issued 1922-24. AMES DAVIS – 5 tokens from well-known consumer product companies. DARREN HOOPER – 3 altered coins. DREW MICHYETA – bull and horseman coin from Afghanis Shahi (800-870 AD) and billon coin from 1200 AD Delhi India. RICH LIPMAN – Spanish and Portuguese modern tokens, plus Angolan 50 escudos bank note showing Portuguese poet Luiz de Camoes. The meeting was recessed at 8:36 PM and will reconvene at 1 PM, Saturday, April 16 at the Chicago International Coin Fair, Crowne Plaza Hotel, Chicago O’Hare, 5440 N. River Road, Rosemont, IL. Session II of the 1168th meeting of the Chicago Coin Club was held April 16, 2016 in conjunction with the Chicago International Coin Fair, held at the Crowne Plaza Chicago O’Hare Hotel, 5440 N. River Road, Rosemont, IL. President Elliott Krieter re-convened the meeting at 1:00 PM with 31 members and guests present. A motion was passed to hold an abbreviated agenda. The Secretary introduced Bruce Bartelt who delivered a presentation on Wild and Exotic Beasts: Animals on the Coins Celebrating Rome’s Millennium. 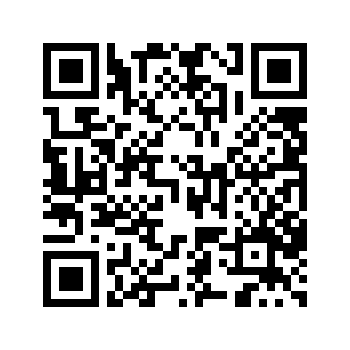 The meeting was recessed at 1:38PM and will be re-convened 1 PM, Saturday, April 30 at the Central States Numismatic Society Convention, Renaissance Hotel & Convention Center, 1551 N. Thoreau Drive, Schaumburg, IL. Session III of the 1168th meeting of the Chicago Coin Club was held April 30, 2016 in conjunction with the Central States Numismatic Society Convention, Schaumburg, IL. President Elliott Krieter re-convened the meeting at 1:00 PM with 43 members and guests present. A motion was passed to hold an abbreviated agenda. The application of Mike Dennany received first reading. Bruce Bartelt was presented with an ANA Educational Certificate and engraved Club medal for this April 16th presentation on Wild and Exotic Beasts: Animals on the Coins Celebrating Rome’s Millennium. It was announced that he was also the recipient of the convention Best-In-Show award for Coinage of Roman Egypt. First V.P. Richard Lipman introduced Mark Borckardt from Heritage Auctions, who delivered the featured program Discovery of the Rev. Dr. James McClure Coin Collection, that was recently discovered in suburban Chicago and will be auctioned in June. Following a question and answer session, Rich present Mark with an ANA Educational Certificate and an engraved Club medal. The meeting was adjourned at 1:40PM. The origins of the Hindu Shahis of Kabul is disputed — various sources have suggested Turkic, Tibetan, and Hindu Kshatriya roots. Their predecessors include such groups as Bactrian Greeks, Indo Scythians, Indo Parthians, Kushans, Kidarites, and Hepthalites. Their coinage used many motifs, including a bull and a horseman, but no coin used both a bull and horseman. The artistry of the coinage of their predecessors had been declining for some time; the cruder and more abstract designs on the coins Deven showed us demonstrated the continued decline. Here is the first coin we saw; the bull at rest faces to the left, while the horse and rider face to the right. The rider is wearing a mask — could it be a battle mask? This type was issued by the Shahis from about 750-900 AD. Originally at a 4.3 gram Persian weight standard, these silver pieces, at about 69% fine, soon dropped to an old Indian weight standard of 3.3 grams. The translation of the legend in local script, Spalapati Deva, is generally accepted to indicate a military commander (Deva is usually translated to lord). Although originally based in Kapisa (modern Bagram), the capital was moved to Kabul in 794. The most common type of Shahi coin is the Samanta Deva issued from 850-1000 AD. Samanta is the title appearing on the coin. The coin weighs 3.2 grams and is 69% silver. By 880, the Saffarids from the west had driven the Shahis from Kabul. This Khudrayaka (which is also some title) was issued after the Muslim conquest of Kabul, and is attributed to the installed governor. It weighs about 2.9 grams, is about 69% silver, and retains the prior basic design. As the Shahis were pushed to the east, and their stuation became more dire, the coin designs became more abstract. This Bhima Deva from about 950 AD is possibly the only Shahi coin to name a king. Weighing 3.2 grams and at 69% silver, it is the rarest of the Shahi silver coins. As their military fortunes declined, the silver content dropped to 25%. 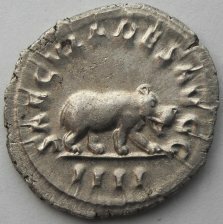 The Shahis also issued bronze and copper coins from 800-1000 AD, but these used lion and elephant motifs as had earlier coins in the region. 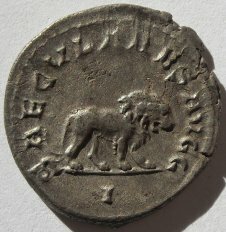 The shown examples had cruder motifs than the shown silver coins. The Ghaznavids drove the Shahis east of the Indus River, and by 1026 the Shahis were extinguished. In this area, these were turbulent centuries with dynasties forming, expanding, and then falling to other dynasties. At the same time, Islam was spreading from west. The few and similar designs of the Shahis would give way to a wide assortment of designs that held a few traces of the old motifs. The Ghaznavids used a 69% silver dirham weighing 2.9 grams from 997-1030; it included the profession of faith and had no images. But the following Ghaznavid rulers resturned to a jital — a 3.2 gram coin of about 18% silver, a very crude bull on one side, and the profession of faith on the other. As the dynasty collapsed, the silver content almost disappeared. The Hindu Kingdoms to the east adopted the bull and horseman motifs on a coin of about 3.3 grams, but the silver was very debased and the motifs were very abstract. The Rajas of Delhi started issuing these coins about 1120, with a silver content of 18% or lower. By the time of the Islamic Delhi Sultanates, the silver content had dropped to 5% and lower. Multiple dynasties were rising and falling simultaneously in the area; it was not a clean linear progression from one to another. Deven used tables from the Tye book to show how the coin designs from the mints at Lahore and Delhi differed and were similar other; one mint could issue coins of multiple styles simultaneously. In one thread, we saw coins combining an abstract bull will Islamic inscriptions. In another thread, an abstract rider was combined with Islamic inscriptions. And sometimes the coins had only Islamic inscriptions. The jital spread west to the Khwarazm Dynasty (Persia), and one ruler issued many types during a 20-year span. Then the Khwarazm annoyed Genghis Khan. Deven told us of a saying attributed to Genghis Khan after he had conquered a Persian town and before he destroyed it, “I am the flail of god. Had you not created great sins, god would not have sent a punishment like me upon you.” And so even the Mongols issued some jitals. Catalogue and Account of the Coin Denomination of Daily Use in Medieval Afghanistan and North West India, by Robert Tye and Monica Tye, 188 pages, Publisher: Robert Tye (August 1995). Living Without Silver, by John Deyell, 369 pages, Publisher: OUP India (April 1999). The familiar story of the founding of Rome by Romulus and Remus is told in Roman legend. The twins were said to be the children of Mars and Rhea Silvia, daughter of the deposed king, Numitor, of Alba Longa in central Italy. King Numitor was overthrown by his younger brother, Amulius. When Amulius learned of the twins’ birth, he ordered the infants killed. They were set adrift in the Tiber River; but the vessel in which they floated came ashore at the foot of the Palatine Hill, where a she-wolf found them, and tended and suckled them. Subsequently Faustulus, a herdsman, discovered the twins, took them in, and raised them to young manhood. They eventually learned their true heritage as children of royalty; and by force, they restored Numitor to the throne. Romulus and Remus afterwards founded a city of their own on the Palatine, the site of Rome. Eventually, the brothers quarreled, and Remus was killed after insulting Romulus. The city took its name from Romulus, who upon death became the god called Quirinus. Ancient Roman historical writers worked out a date for Rome’s foundation that corresponds to 753 BC according to our calendar. Occasionally, Romans dated years from the foundation of Rome, e.g., ab urbe condita or AUC, but it is extremely rare to see this formula used on a coin as a date. Of course, this date of 753 BC cannot be accepted as fact. There is evidence of settlements on the Palatine Hill dating long before. However, archeology does show that by 700 BC there were settlements in the Forum valley, and by the next century monumental buildings and public spaces had been built, marking the site’s transformation to an organized city-state. Gordian III was the emperor as the millennium neared. Gordian would have anticipated the approaching 1000th anniversary of Rome a few years hence presented an opportunity to display his power and accomplishments. The 800th and 900th anniversaries had been commemorated with games sponsored by Claudius and Antoninus Pius, respectively. Yet Gordian would not live long enough to be able to host the celebration. The young Gordian (only a teenager) was descended from noble and well-educated families. He would know that, for good Romans, the proper observance of traditional ceremonies ensured the prosperity and safety of their city. Significant dates in Roman history were associated with divine intervention; many festal occasions honored notable anniversaries, such as dates of temple foundations, great military victories, and the honors granted to the first emperor, Augustus. In 243, Gordian with his armies in the east scored a series of major victories over Persia. He could have anticipated that the spoils of war that would grace his victory triumph in Rome would also add luster to millennial celebrations. An ancient writer recorded the animals Gordian collected: 32 elephants, 30 leopards, 1 rhinoceros, 10 tigers, 10 hyenas, 10 wild lions, 60 tame lions, 6 hippopotami, 10 giraffes, 10 moose, and “various other animals of this nature”. However, Gordian was deposed and executed in Persia following a revolt of his army. The overthrow was likely the result of a plot instigated by his commander of the Imperial Guard, Philip. It was to be Philip, instead, who used the animals Gordian had collected for his triumph. Upon Gordian’s death, the army proclaimed Philip emperor. He returned to Rome to secure his power with the Senate and the Roman people. One way of winning the favor of the populace was the provision of entertainment, including wild animal exhibitions. Philip, called “Philip the Arab”, was born in the Roman province of Syria. The Roman aristocracy disdained him for his humble heritage. However, Philip strengthened his position as he followed up the eastern successes with further military victories across the northern frontier. Returning to Rome, Philip would use the occasion of the millennium to ensure his standing. He provided a distribution of money and food to the public. Additionally, Philip determined to provide lavish games and spectacles such as had not been equaled before. He employed the animals Gordian had collected as a centerpiece to the games. The games Philip sponsored followed longstanding Roman tradition. By custom, Romans commemorated each new century (Latin, saeculum) of their city with festivities that included games and competition; dance and music; theatrical plays; and fights involving gladiators and staged animal hunts (or venationes). And Roman emperors were always ready to use the coinage as propaganda vehicles to enhance their image and proclaim their accomplishments. Following in this tradition, Philip had coins struck marking the milestone of Rome’s 1000th year and his role in providing the public with remarkable games. Beginning in the time of the Roman Republic, and continuing under the Empire, wealthy and powerful men sponsored games and animal exhibitions for the enjoyment of the public. The origins of the games probably lie in the hunting of wild animals in the Circus Maximus at early Roman festivals. These games often were held as part of the observance of religious rites and important anniversaries. There were a number of regular annual games given, but there could also be additional, special games given by a magistrate to mark the fulfilment of a vow, dedication of a building, or some other service to the state. Emperors might mark an anniversary of their reign by sponsoring games. As the Republic grew wealthier, nobles competed to provide ever more lavish games as a sign of their distinction. Being able to secure wild foreign beasts to present to the people became one way to enhance an aristocrat’s stature. Under the Empire, it was the emperors who took the lead in providing animal shows as they had unmatched ability to gather wild animals from across the empire. The most popular event was chariot racing in the Circus. Next most popular was the exhibition of animals in the amphitheatre and Circus, in a variety of presentations. There were tamed and trained animals, such as Elephants, for amusement. There were fights — either animal against animal or animal against men. Finally, there were staged hunts where professional hunters attacked the creatures. As many as several hundreds of animals could be killed over the course of a series of games. 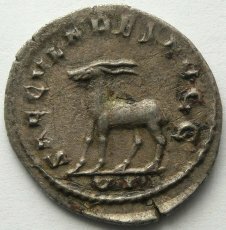 The silver coin on which the animals were celebrated was the double denarius, also called the antoninianus, after the name of the emperor who introduced the denomination. 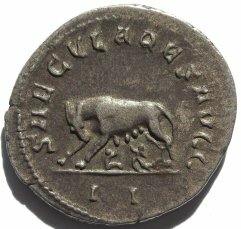 The denarius was the basic silver unit in the Roman imperial coinage system, but by the time of Philip it was falling out of use due to inflation and eventually it would be replaced by the antoninianus. The radiate crown that Philip and his son wear on their obverse portraits was used as a distinguishing feature of double denomination coins; it associated the emperors with Sol, the sun-god. On the empress’ coins, rather than being crowned, the bust rests on a crescent, symbolizing the moon-goddess, Luna. The six animal types also appear on the large brass sestertius (valued at ¼ denarius or 4 ases), the brass dupondius (2 ases), and copper as. The Roman mint at this time was organized into six separate workshops, or officinae in Latin. Each mint workshop was assigned one of the imperial images: officina 1, 2, 5, and 6 for Philip I, officina 3 for Philip II, while officina 4 used Otacilia’s portrait. Each different reverse type was assigned to a single workshop within the Roman mint. The silver coins are marked with a Roman numeral for the workshop where they were struck. This was the first time Roman coins explicitly noted on themselves the workshop in which they were produced. (The copper-alloy coins do not show the officina number). Animals that were to appear in the games were kept in remote areas of the city to prevent or limit loss of life when a wild animal would escape (which they did on occasion). Then, the night preceding the show, they would be transported in boxes or cages to the arena. There they could be kept in cages under the amphitheater until time for their release by means of a system of pulleys that would raise the cages or by moving the cages around the perimeter of the arena to the desired spot for release. Getting large carnivorous animals to move from their quarters to new surroundings can be difficult even in ideal conditions, and must have been especially so in an arena filled with loud, shouting spectators. The wild animals often cowered or took refuge under the arena’s barricades. Men armed with hot rods or fire would need to goad them into action. Lions were one of the species most often seen at the games, and it has been suggested that the large numbers captured for exhibitions led to their extinction in certain regions. They appeared at the Roman games as early as 186 BC. Lions would be fought and killed by trained hunters (venetores) or made to attack other animals. Lions were obtained most often from Africa, but at this time also came from Arabia, Syria, and Mesopotamia as well. Lions also were bred and raised in Italy by the wealthy. Some were tamed and trained and, it is said, kept as pets. According to one writer (Dio), the emperor Caracalla kept a tame lion as a pet that ate with him and slept in his room. And supposedly the emperor Elagabalus, after he had gotten his friends drunk, while they were sleeping, would let tame lions (along with leopards and bears) into their rooms at night to give them a good fright when they awoke (Historia Augusta). Wolves were indigenous to Italy, as the story of Romulus and Remus indicates. 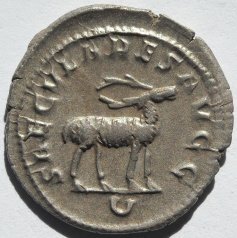 The wolf as it is rendered on Philip’s coin appears slightly out of place, for here it is shown as the she-wolf suckling Romulus and Remus, not as a single freestanding animal type. As shown, this is the prototypical emblem of the foundation of Rome. It is an image certainly appropriate for the anniversary. Nevertheless, it is also possible wolves may have appeared at the games — one of the species grouped by the Roman historian among the “other animals” in the reference cited earlier. Wolves do appear among wild animals in a painting from Pompeii showing animals in an amphitheatre. To us, the moose probably does not appear as a particularly exotic animal, but for the Romans it was a creature that had to be brought from beyond the Roman frontier — from Germany or other northern lands beyond. Romans knew them to inhabit Scandinavia. Moose (also known as European elk) are first recorded as appearing in Rome during the reign of Commodus (AD 177-192) and the moose is listed as one of the animals presented at Philip’s games. I must mention one point of numismatic confusion. Cataloguers as early as the 18th Century called the animal on this coin a goat, and that designation often has been repeated; it is still sometimes used. A 19th century writer suggested the animal was a Moose, but it was not until an article written some 30 years ago emphasized the correct species on the coin that the true identification has become more prevalent. It is true, the look of the animal on the coin may not fit our first conception of a moose, as it lacks the large, spread, palmate antlers we associate with the mature male moose. Moreover, the fact that some of the Roman die-engravers were not as skilled as others does not help clarify their intent when their efforts produced somewhat sketchy results (this specimen can only be called average). But, the best dies showing the animal’s long legs, large feet, rounded nose, and, especially, the two-pronged upright antlers make it clear this is a young male moose. You may judge — moose or goat? The hippopotamus was obtained from the Nile River and first appeared in Rome during the late Republic, in 58 BC. They would have been captured alive in excavated pits. Ancient authors record that hippopotami, among other animals, were kept and trained in Alexandria, Egypt. From this port city, they would have been shipped to Rome in heavy cages or boxes. Keeping the animals alive on that long voyage must have been a challenging undertaking. Once in Rome, the hippo would have been kept in a pond or tank until being brought to the colosseum. Deer were abundant in Italy and were frequently used in spectacles. Interestingly, some were tamed and trained to wear a harness something said to be a very difficult accomplishment even in modern times. The large red deer, a variant of our American elk, were abundant in northern Europe, but would have been an unusual sight at Rome. 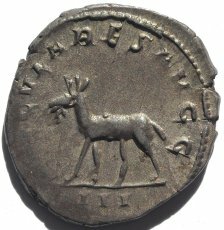 The large antlers shown on these coins lead me to think the red deer is the species being portrayed on the coin. Antelope of several different species were brought to Rome from North Africa. The species on Philip’s coin has curving horns that indicate it may represent the impala or the addax antelope. The antelope could have been captured in the wild by driving them into corrals or netted enclosures. Some species were domesticated. In the arena, antelope would have been prey for the hunters or the meat-eating animals. In addition, they could have amused the spectators as they engaged with and butted each other, as the Roman writer Martial records in one instance. An elephant appears on a coin on an issue outside the six other coins. It may have been struck the preceding year in anticipation of the event. As mentioned, elephants were included among the animals Philip presented. Elephants were the first exotic animals to appear in Rome. In 275 BC, four captured from Pyrhhus in southern Italy marched in the triumph in Rome celebrating his defeat. In later years, they were exhibited in the Circus Maximus. In 55 BC, Pompey brought about 20 from Africa via ship promising they would not be harmed — a promise not kept as they were killed on the last day of the shows that Pompey sponsored (much against the spectators’ protests). Elephants were trained to perform, including the ability to walk a tight-rope. Around the time of Augustus, a herd belonging to the state was kept in Italy. What happened after the festivities? Philip set up a column in Rome recording for posterity his generosity in providing the games. But for Philip, the new millennium, that he celebrated so lavishly, was not auspicious. Just the next year, he was overthrown by a rival general. A rebellious army proclaimed Trajan Decius emperor, and Philip was defeated when the two forces clashed in northern Italy. As for the games, the exhibition and slaughter of wild animals continued for several more centuries under succeeding emperors. Today, it is hard to fathom the entertainment value in the destruction of so many animals (to say nothing of the human toll). A few ancient Romans did speak out against the popular games; Cicero records that at one show the crowd pitied the tormented beasts. The philosopher-emperor Marcus Aurelius was repelled by the cruelty of the shows. We know that in the personal sphere, some citizens cared for animals and wealthy Romans kept unusual animals in their own private parks. After the Empire’s capitol moved to Constantinople, fewer games were put on at Rome, and at Constantinople, while games were presented, the populace there did not have the same passion for animal hunts. Animals were kept in a garden at Constantinople that survived and was augmented after the Turkish conquest. The successor city-states and nobles in Western Europe also collected beasts for display — precursors to modern zoological parks. For the common Roman citizen, the opportunity to see strange animals from foreign lands must have been memorable. Perhaps some who viewed the wild and unusual beasts depicted on the coins of 248 must have done so out of the same simple fascination many have today for the variety, the “endless forms” (as eloquently expressed by Darwin) of the creatures that inhabit our world. Marc Stackler brought a 1 Peso REVALIDADO (revalidation by the Conventionist faction, Mexican Revolution era) dated October 1914. On the back is printed an advertisement for Dennis Forgue, coins & paper money dealer. Marc acquired the item in Mexico City this past March. The next weekend at CPMX he spoke with Dennis about the note. Dennis said back in 1968 he had some unsold Mexican and US fractional notes that he used for printing the ad. The PO Box in the ad now serves as the box for the Hillside Coin Club. Dennis later joined Harlan J. Berk, which is where many CCC club members know him from. Deven Kane likes the Indo-Greek / Baktrian coinage, and he showed a coin from the end of that period (35-25BC). A very fine and rare silver drachm of Apollophanes with a rough looking portrait of the last Indo-Greek ruler to use the crested Macedonian Helmet, of the type seen on the Alexander mosaic, on his coins. By the end of the first century BC, the Indo-Greek kingdoms were crumbling under a Scythian onslaught, and Apollophanes appears to have been one of the last of these rulers and likely had a short reign. The celatorship of Indo-Greek coins, which had been among the finest in the ancient world, now degenerates to cruder designs. On the obverse, the bust of the king is surrounded by the legend ΒΑΣΙΛΕΩΣ ΣΩΤΗΡΟΣ / ΑΠΟΛΛΟΦΑΝΟΥ (Basileos Soteros Apollophanou … of King Apollophanes, the savior). On the reverse, a standing Athena Alkidemos hurls a thunderbolt and is surrounded by the Kharoshthi legend Maharajasa Tratarasa / Apalaphanasa. His use of Athena suggests he may have been related to Apollodotus II and Menander. Robert Feiler discussed 3 things from his recent stay in Florida. He visited the Gamble Plantation in SW Florida which was the last hiding place of Judah Benjamin, Secretary of War and Secretary of State under Jefferson Davis during the Civil War. Bob showed a $2 Confederate bill with Benjamin’s portrait. He visited the Ringling (John & Mable) museum in Sarasota, FL, and showed a 6-piece set of Baraboo, Wisconsin Circus scrip (5¢, 10¢, 15¢, 25¢, 50¢, and $1) commemorating the celebration of the 50th anniversary of the founding of the Ringling Bros. Show at Baraboo, Wisconsin, (1883-1933). Robert Leonard showed 2 coins and a book. Book: FOÇA TAR&Idot;H&Idot;, The History of Phokaia by Ahmet Vasfi Pekin (Istanbul 2015, bilingual Turkish-English). This attractive book is well illustrated with maps and coin images, and has a brief chapter on the ancient coins of this Ionian city. An electrum 1/24 stater, circa 625-522 B.C., showing the head of a seal (a pun on the name of the city — “Phokaia” means “seal” in Greek, either because there were seals there or islands in the bay looked like beached seals. A gold ducat of Dorino Gattilusio, circa 1428-1449, Foglia Vecchia mint (medieval Italian for “Old Phokaia”) minted under the Genoese Gattilusio governors from Lesbos, in imitation of contemporary Venetian ducats. The location is indicated as “D • FOLIE.” At that time the economy depended on the output of a rich alum mine there. His first finds of 2016-dated dime and cent, both Denver mint. 500 mark German notgeld note (aluminum foil) from Lautawerk dated 8.10.1922. Mark speculates that 500 is the highest denomination for the foil notes, which were probably meant as collectibles/souvenirs, since they are too fragile to circulate. Electrum heckte (1/6 stater) from Cyzicus (c. 550-475 BC). On the obverse is a dog atop a “tunny” fish. The reverse is blank. Bronze token from the State Bank of Chicago (located at LaSalle & Washington St.). The bank was established in 1878. It merged with Forman Bank in 1929, and then the merged institution was acquired by the First National Bank of Chicago in 1931. 1933 Large Indian Head obverse, Fort Dearborn reverse. 1934 Large Indian Head obverse, Travel and Transport Fair Building reverse. 1933 Small Indian Head obverse, Fort Dearborn reverse. 1922 Large Indian Head obverse, with a SOUVENIR, Rock Island, ILL. reverse. 1924 Large Indian Head obverse, with a SOUVENIR, Chicago, ILL. reverse. These above 2 Items were produced between the two World Wars. They have Swastikas on the Indian Headdress band, which is an old Good Luck symbol that you will find, for example, on the Large Buddha statue in Hong Kong, of which Jeff showed a picture. From the A&P store, Cheerio, the cow. From the A&P store, Hi-Ho, the pig. From the state of Michigan, The Nation’s Playground, Come to Play. Palmolive: Good for 1 free cake of soap (when you buy 1). Colgate-Palmolive: 10 cents off shave cream. Dominick’s Finer Foods: Save 25 cents on a purchase of $2.50 or greater. McDonald’s: 25 cents off a large sandwich, McNuggets, or breakfast entrée (expires 3/18/1983). Huyler’s Chocolates, St. Louis, MO: Louisiana Purchase Centennial medal issued by Huyler’s. Side one shows portraits of Napoleon (sometimes misidentified in the literature as George Washington), Jefferson, and Theodore Roosevelt. Side two shows portraits of the company’s executives. Darren Hooper talked about some altered coins. 1877 Indian cent where the entire date was the incorrect numeral style. For comparison, he showed us his coin from last month, which had only the last digit reworked. 1893 Morgan Dollar, struck in Philadelphia, but an “s” mintmark was expertly added by drilling a hole in the rim near the mintmark location, using a tool to raise metal to form the “s” mintmark, refilling the metal that was displaced/removed (so the weight fell within correct tolerance), and re-reeding the edge to cover up the entry hole. Years later, some green discoloration is present on the reworked rim. Drew Michyeta showed 2 Indian coins to complement the meeting’ featured program. Afghanis silver Shahi of Kabul from 800-875AD, with a bull & horseman motif. Drew likens the look and feel to something Picasso would have made, and as a metal worker, he noted that good tools were needed to make the die. India / Delhi billon coin ca. 1200AD, with much more abstract motifs. Rich Lipman presented some Spanish and Portuguese modern tokens acquired on a family vacation. From the FC Barcelona soccer team, featuring their facility Camp Nou. Produced by the Paris mint. Sagrada Familia (church in Barcelona, Spain originally designed by Gaudi and still under construction) — also produced by the Paris mint. Lisbon, Portugal museum token: Museo Nacional dos Coches (National Museum of Coaches). An Angolan 50 escudos bank note with a vignette of Luiz de Camoes (Portuguese poet), and a token featuring Camoes’ tomb. From his position with Rockford Urban Ministries, Stanley Campbell obtained religious visas and traveled to Cuba eight times since 1990. During the visits he contacted local numismatists and discovered Cubans were only allowed to “trade” coins, currencies, and collectibles, not “buy-and-sell.” Of course, every Cuban considered U.S. dollars as a fair and legal “trade.” Stanley also toured Havana’s Numismatic Museum showing Cuba’s numismatic eras from the 16th century to date. Mr. Campbell also has a collection of money substitutes/volunteer bonds given to those who helped harvest sugar and coffee. Diplomatic relations are changing and some members probably anticipate traveling to Cuba soon. Be sure to attend this meeting and hear Mr. Campbell relate his numismatic experiences, tell where collectibles can be found, what to expect, and how to survive. August 9-13 ANA in Anaheim, California this year, so we can relax and play tourist — for details, see http://www.worldsfairofmoney.com.